If the driver at fault in your car accident does not have an insurance policy, you often must bring an uninsured motorist claim against your insurance policy. Even though Illinois requires all drivers to carry liability insurance, these types of claims are fairly common. This type of insurance coverage will also be used if you are injured in a hit and run accident and cannot identify the driver. This type of claim comes up when the at-fault driver has low policy limits. Illinois requires a policy to cover bodily injury or death to one person up to $25,000. However, in a serious accident, damages such as medical bills, pain and suffering, and lost wages can easily exceed $25,000. Once the accident victim reaches this limit, they will be able to use their own underinsured insurance policy. One of the most important things to remember as you pursue an uninsured or underinsured claim is that you are now an adverse party to your insurer. 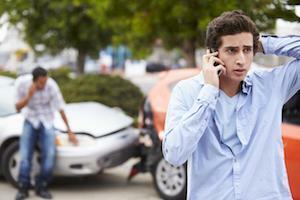 In most traditional car accident cases, your and your insurer’s interests are aligned. However, uninsured and underinsured cases change the dynamics. Insurance companies are experts in negotiating settlements and assessing fault, so you need a skilled legal advocate on your side to protect your interests. Due to the nature of uninsured and underinsured car accident claims, it is likely that a lawyer can help your case. You need someone who can talk to your insurance company on your behalf. This will even the playing field for you, and you can rest assured that you will be adequately compensated for all your injuries. Contact the experienced Plainfield, IL motor vehicle accident attorney of Flaherty Law today at 815-577-7500 to schedule a free consultation and learn how we can help you receive the compensation you deserve for your injuries.